Did you know there is a fun place right in our backyards where children can play and learn at the same time? 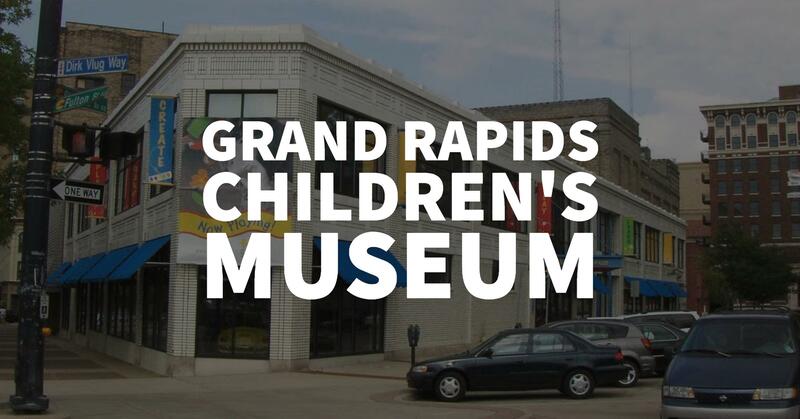 You may have guessed it – we are referring to the Grand Rapids Children’s Museum. Maybe you need a new place to take your children, or maybe you are young-at-heart and are looking for a fun place to be entertained for a low cost. Look no further and come with us as we explore this fantastic museum. The Grand Rapids Children’s Museum bills itself as an environment for play and advocates for the value of play while building young minds. The museum hosts field trips, birthday parties, and group visits. The museum offers eight exhibits, including Diagnosis Fun, where kids can explore the health sciences and see what it is like to be a doctor or nurse; Little GR, where kids can explore our big city from their perspective; Amazing Dinosaurs, where kids can dig up fossils and come face-to-face with their favorite dinosaurs; Wee Discover, where the little ones five and under can explore and play with numerous items; the Classics, where kids can play with Lincoln Logs and Legos; Just Playing Around, where kids can bang on instruments and make noise; the Favorites, where kids can climb a mountain or see a honeybee hive; and finally the Bubbles exhibit, which is, you guessed it, full of bubbles. Come visit the Grand Rapids Children’s Museum to watch you child have fun, play and grow at the same time. The museum is open Tuesday through Sunday, from 9:00 AM until 5:00 PM, with extended hours until 8:00 PM on Thursday. Admission is $8.50 for adults and children, $7.50 for seniors, $6.50 for military family members and school faculty, $1.75 for low-income individuals with EBT and $1.75 for all on Thursday family night. If you have questions about what Grand Rapids has to offer, contact us today. We love helping!